Just weeks after relaunching Mozilla Labs, the Firefox maker has announced that the browser's Test Pilot program is closing down. The move comes as Mozilla says it is "evolving Firefox's culture of experimentation". 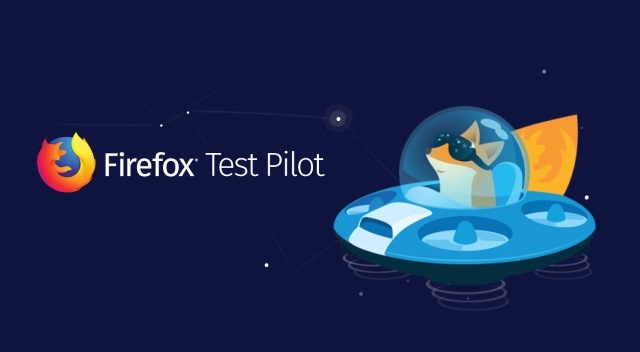 The Test Pilot Program has been a beta testing ground for numerous Firefox features including Containers, Activity Stream and Firefox Monitor. But while this particular program is going away -- and with very little notice -- Mozilla says that experimentation will continue, and promises that experimental features will not be disabled for those who are currently using them. It is less than a week until the testing program is closed down, as John Gruen, product manager of Firefox Test Pilot, explains: "Firefox Test Pilot is flying off into the sunset on January 22nd, 2019. Currently active experiments will remain installed for all users, and will be available on addons.mozilla.org after this date. Non-extension experiments like Firefox Lockbox and Firefox Send will continue in active development as standalone products. In fact, both products will have significant launches in the near future. Stay tuned for updates in the coming months". Mozilla says that the Test Pilot program proved more popular than it ever could have imagined, and with this in mind it is migrating to a new model that will see it running even more experiments than before. Eager Firefox users will still be able to beta test new features and experimental options. If you are using any currently active add-on experiment, you can keep using it. Nothing's gonna change in your browser, we’ll just automatically migrate you off of the Test Pilot versions of the add-ons. Firefox Send and Firefox Lockbox will continue in active development in 2019 as standalone products. Notes, Firefox Color, Side View, Price Wise, and Email Tabs will all remain available at addons.mozilla.org for the foreseeable future. As for the Test Pilot site and add-on, we are replacing the site with a farewell message on January 22nd. Visiting the site after this date will automatically uninstall the Test Pilot add-on, but you can also just uninstall it manually if you wish whenever you like without affecting installed experiments.